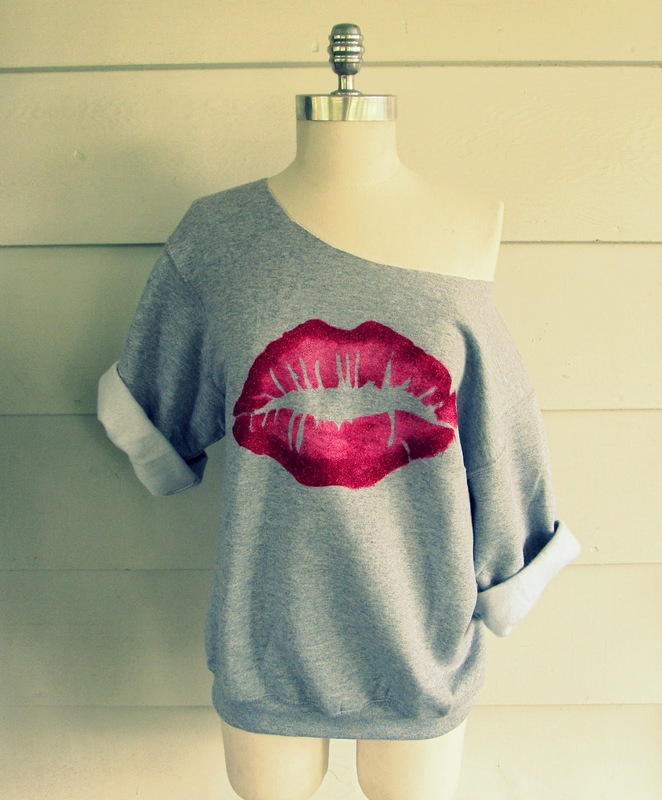 WobiSobi: Kiss Me: Lip Sweatshirt DIY. Have you Checked out Ilovetogcreate.com. One of my wonderful sponsors. Also, if you live in the Central Florida Area. 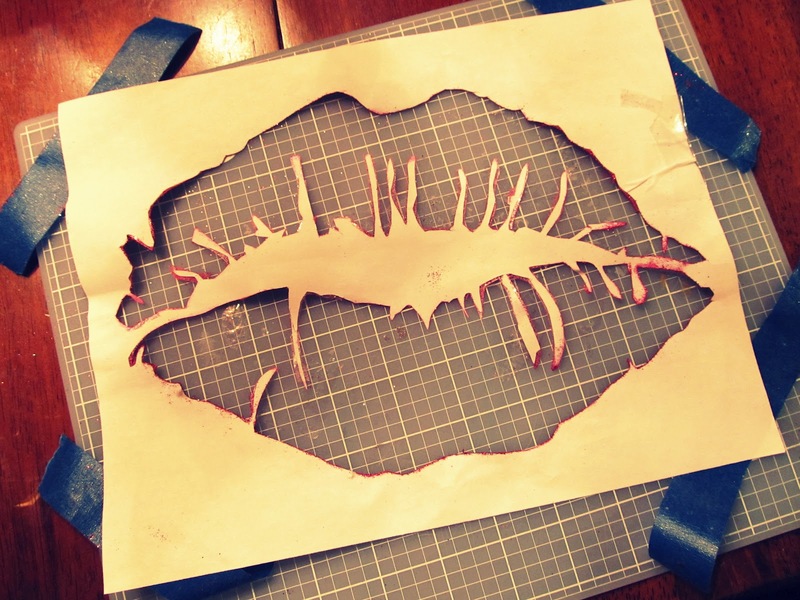 Use your x-acto knife to cut out your stencil. 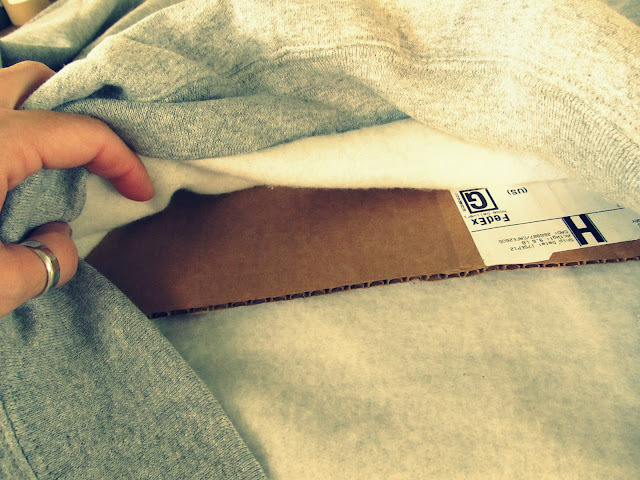 Place your cardboard in between your shirt. Pick the color paint you want. 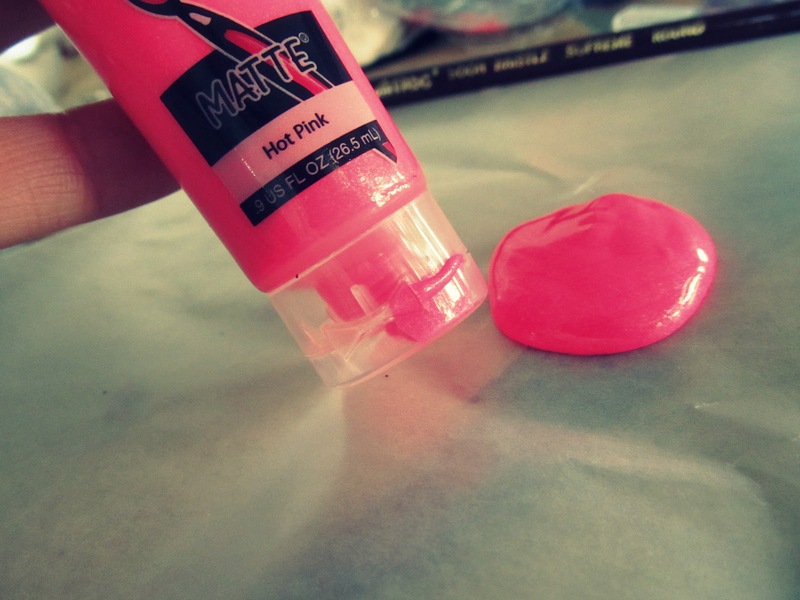 I picked the color Hot pink, and I put paint on a piece of wax paper. Pounce straight up and down over your stencil. and pounced it around the edge of the lip. to give it that 3D effect. 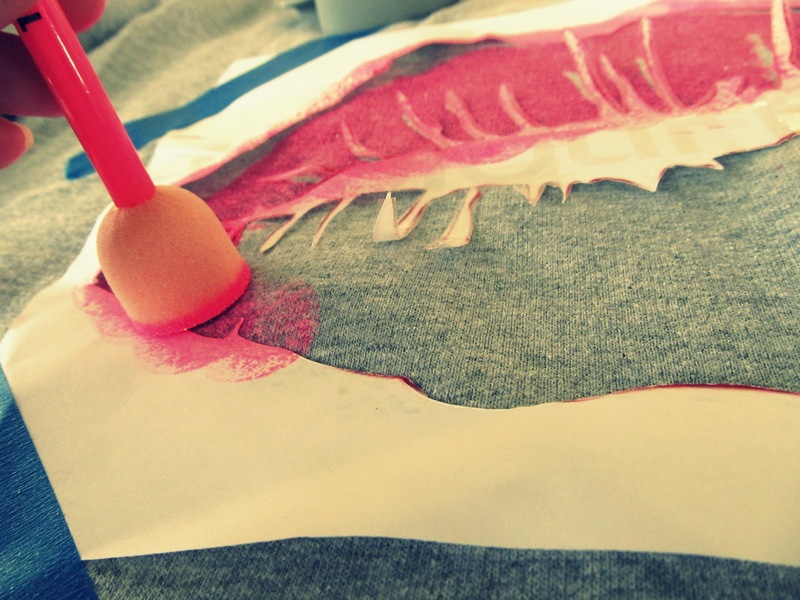 Let that dry really well (4- 5 hours), then gently shake off the extra glitter. *Wait 48 to 72 hours before you wash.
You should check out her wonderful boot re-style she did with tacks HERE. Que lindo! Quero muito fazer. Love your website and your wonderful projects! 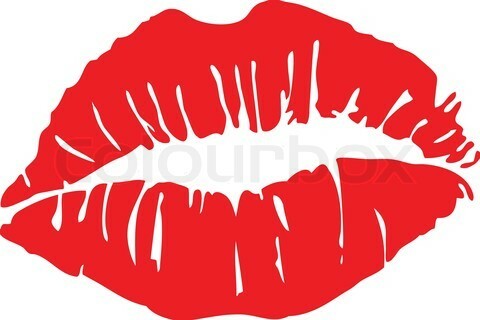 Where did you find the lips at? 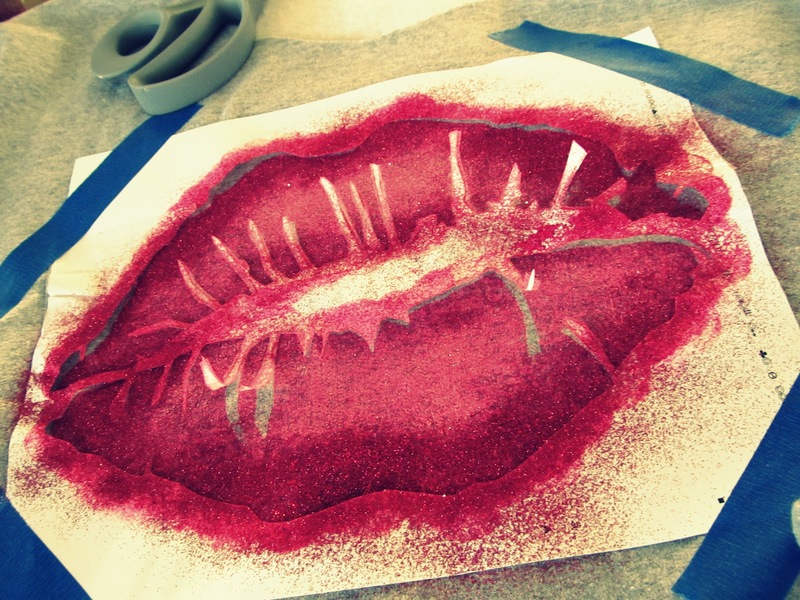 I totally love how you gave the lips depth with those 2 shades...also LOVE that boot diy from a pretty penny! brilliant! Love it!! 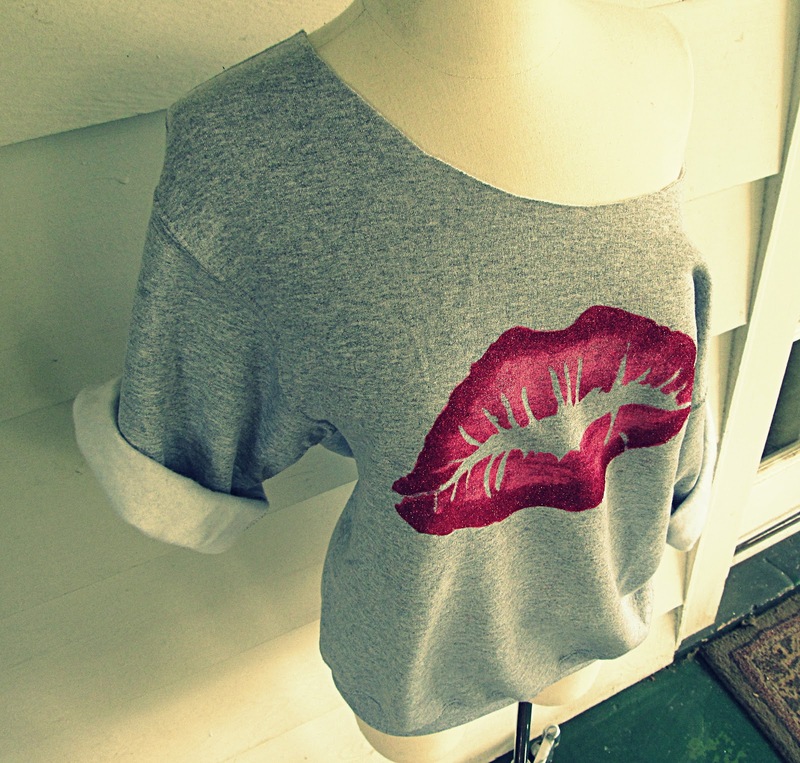 I print clothes too but with other methode. I follow you!! This is so stinking cute! I love that exact sweatshirt! What brand/type is it?? 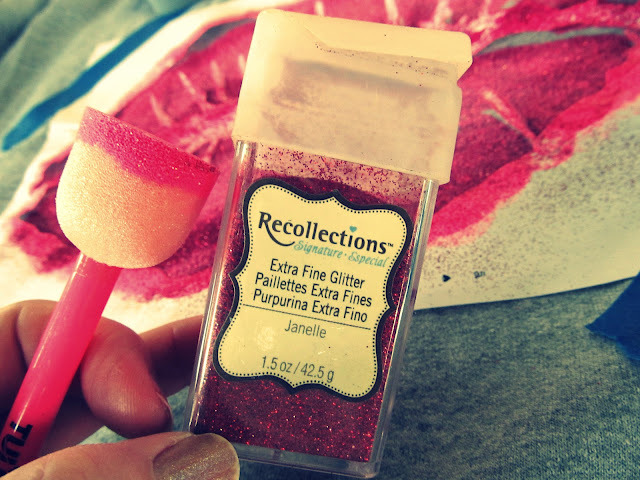 Is there a particular secret to getting the glitter to stick after the first wear? 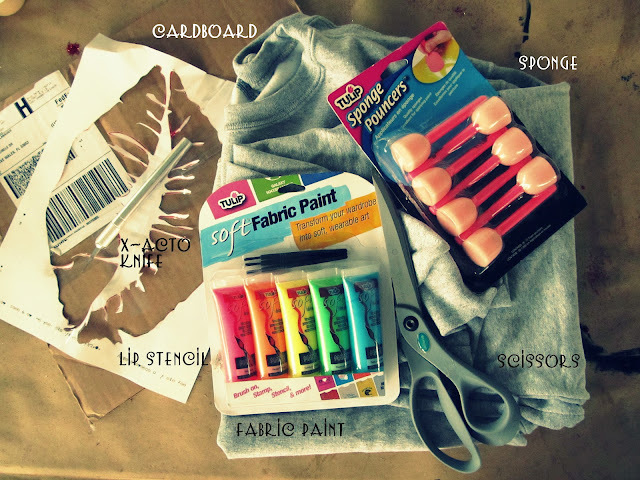 It was my first try and I might not have used enough glue, but I'm losing a lot. I might need to go back and add more. 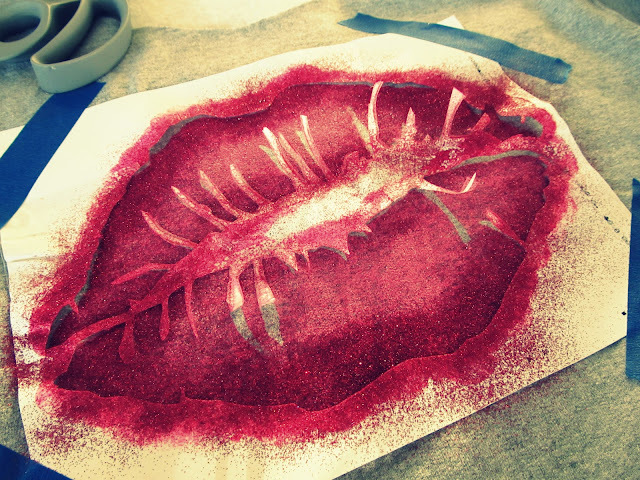 I suggest the tulip glitter glue to seal on top of the glitter. I need to add that to the instruction. Thank you for reminding me. You just put the glitter glue down on top of the glitter and let it dry? I know you did this DIY a long time ago but how did you get the stencil and what size was it? sorry for the 20 questions but I really am interested in doing it. thank you. 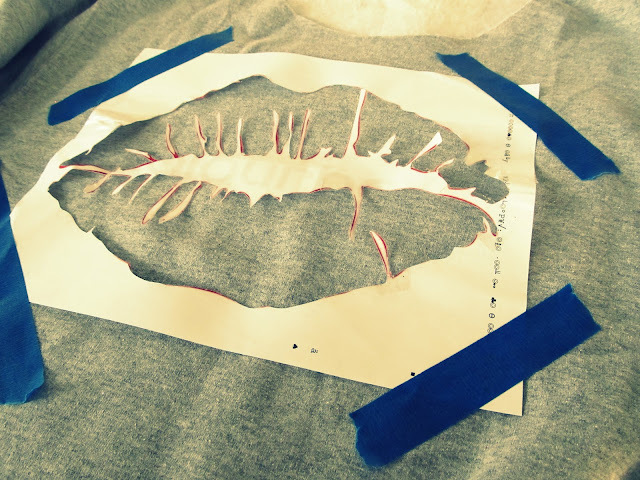 The Stencil was the size of an standard piece of paper, when you print it just make it fit the page. I love the questions. always ask them and never be sorry:) feel free to ask me anything else. Thank you! 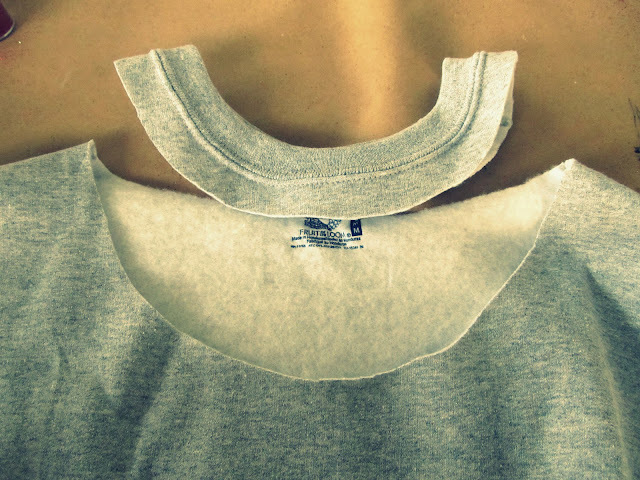 I've seen this shirt all over tumblr and they summarized the full explanation but I didn't understand it at all. Finally I found the tutorial. Thanks a lot!